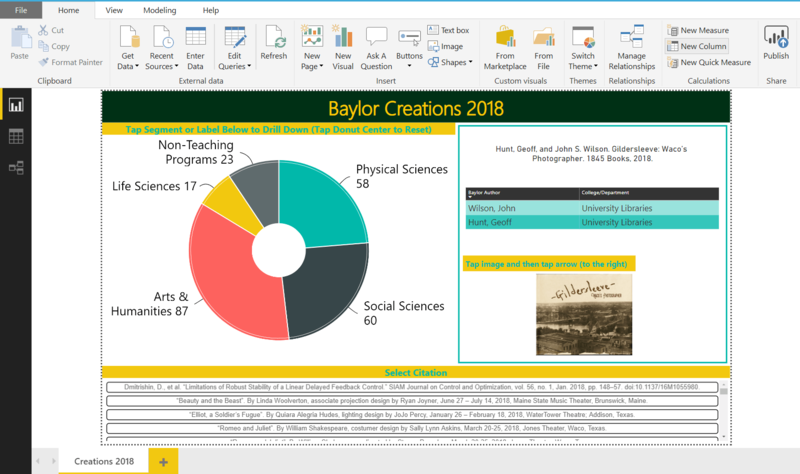 First published Power BI project we worked on was a digital interactive display for Baylor Creations 2018. Baylor Creations showcases publications and other scholarly output of our faculty. 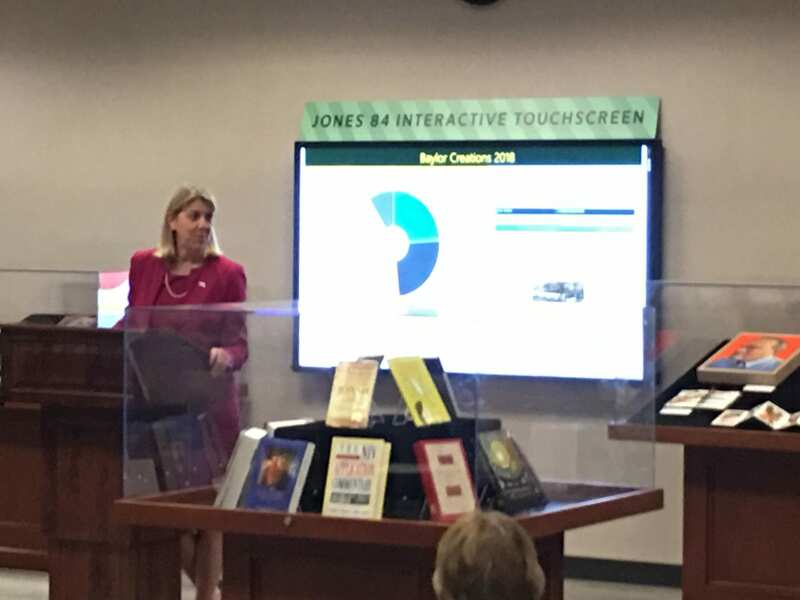 This Power BI-driven report has been present on our interactive 84-inch touch screen in Jones Library for the last 4+weeks. Makes use of the following 3rd party visualization objects: Advanced Donut Visual, Simple Image, and Chiclet Slicer. When tapped, the donut drills down from top-level disciplines to departments, and then when a department is tapped the donut drills down to individual faculty members. It proved to be an intuitive and really fun way to highlight the proportions of scholarly works by department and for faculty to see their own work highlighted as an image for each publication (first page for journal articles) was highlighted. We used the Focus Mode functionality to zoom in on each publication’s image. Sorry can not share with public. Requires authentication.